Conflict in the South China Sea is not a new phenomenon. In fact, the area has experienced conflict for centuries . Most of the disputes have involved nations claiming islands or surrounding waters as part of their sovereign areas, primarily the Spratlys and the Paracels. 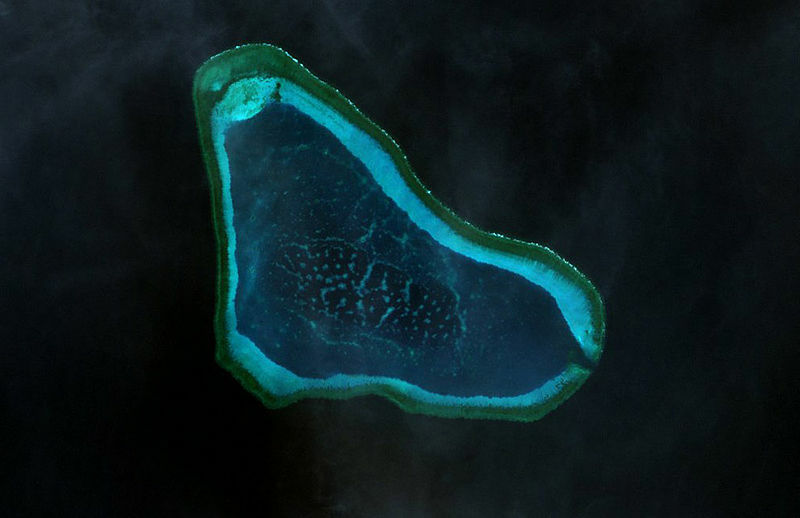 More recently, some areas in the South China Sea, such as the Scarborough Shoal – an area that barely consists of land and is mostly made up of “uninhabited rocky outcrops, atolls, sandbanks, and reefs” ("Q&A" 2012), have been the center of controversy. The reason this particular section of the pacific ocean is valuable to so many different states is because of the rich resources that are found there including: oil, natural gas, minerals, and fish. Over the decades, six countries have competed for rights over the area including China, Philippines, Brunei, Malaysia, Vietnam, and Taiwan ("Q&A" 2012). But today China and the Philippines are the nations contending for control over the prized fishing grounds found in the Scarborough Shoal. However, these prized fisheries are in danger of disappearing as the effects of the climate change continue to progress in the Scarborough Shoal. In addition, China and the Philippines economies and peoples' livlihoods depend on the fisheries, thus if they are depleted by climate change driving the fish populations poleward the chance of conflict eruptuing might become a reality. The current conflict in the Scarborough Shoal is primarily between the Philippines and China, although in the past, several Southeast Asain nations have struggled for control over the various hotspots of the South China Sea. 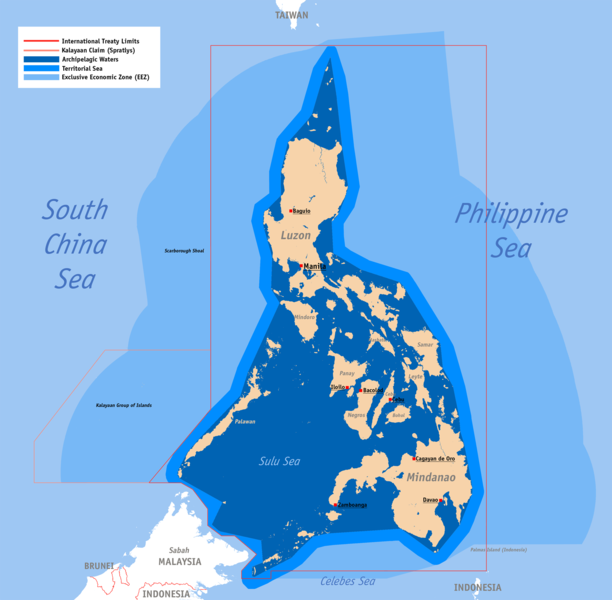 The Scarborough Shoal is an area that barely consists of land and is mostly made up of “uninhabited rocky outcrops, atolls, sandbanks, and reefs" ("Q&A" 2012). The Philippines and China are both dependent upon the fisheries in the South China Sea, specifically in the Scarborough Shoal, for the economic development and livlihood of their people. China claims to have been active in the area for over 2,000 years (Lague 2012). Historically, China has explored the area of the South China Sea since 960 AD during the Song Dynasty. However, the first map published by the Chinese government that included the South China Sea as part of China, appeared in 1947 (Lague 2012). In 2009 China submitted a map to the United Nations that depicted a 9-dash line showing its territory in the South China Sea. The 9-dash line, which includes the Scarborough shoal and crosses into the Philippines EEZ, has become very controversial (Xu 2013). The different territorial claims are demonstrated in the graphic to the right. Since the landmasses in the south china sea are too small to support a native population, the surrounding nations including China and the Philippines have competed for sovereignty rights. The waters around these small islands and protruding rocks are also controversial despite some countries exclusive economic zones. The UNCLOS states that a sovereign nation has claim over the waters reaching 200 miles off the coast. Under UNCLOS, China is intruding into the Philippines' sovereign waters. Nations may not, however, claim small rocks or "coral projections" as territory under Article 121 (3) of UNCLOS (Mabasa 2013). UNCLOS Article 121 declared official sovereign boundaries and international waters in the South China Sea in 1994. But countries like China disregard these international laws. The Philippines and China use tactics like fishing bans, standoffs, and arresting fishermen who they believe are acting illegally as ways to demonstrate their presence in the Scarborough Shoal. It is ironic because the Philippines and China attempt to turn these boasts into conservation cries. There have been reports of increase militarization the countries surrounding the South China Sea as smaller nations like the Philippines try to balance China’s overwhelming presence. Since 2011 the Philippines has begun to modernize its military and has double its defense budget (Xu 2013). In January 2013 the Philippines annouced they would be taking China to the International Tribunal for the Law of the Sea in order to pursue international mediation through the Untied Nations Convention on Law of the Sea. Thus far, the Chinese government has remained silent along with the rest of the world. One reason why no other nations are backing the Philippines is because they do not want to further isolate China by bullying it to cooperate. Furthermore,other ASEAN nations hope that they can reach a negotiation with China to resolve disputes in the South China Sea in the future (Medcalf). The growing Chinese and Filipino demand for fish comes at a time when 87% of the world’s fisheries are “…at full exploitation, overexploited, or depleted, according to the United Nations’ Food and Agriculture Organization” (Mohindru and Yap 2012). Filipino demand for fish in 2010 was estimated at 2.9 MT, however with the nation’s growing population, demand is expected to increase to 4.2 million MT by 2020 (OneOcean). Fish comprise the Philippine’s third largest food group and was the second highest portion of spending by families (Dacul 2010). The average Filipino consumes 98.6 grams of fish every year (NSCB). Without fish, 89 million citizens would be without half of their proper protein requirement. The fishing industry in the Philippines employs 5% of the total labor force and produces 2-4% on the nation’s GDP (Tacio 2011). Being the largest exporter and importer of fish, China’s demand for more access to fisheries is huge. China is expected to produce upwards to 60 million tons of seafood in 2015. Some are skeptical that’s this number may be actually higher than China would like to admit. By 2020, seafood imports are predicted double from 8 billion to 20 billion. 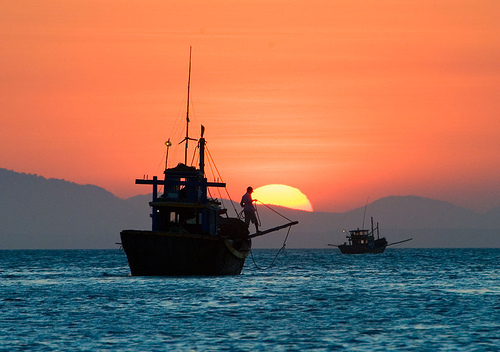 China is also investing in new commercial fishing equipment and hopes to have 2,300 fishing vessels by 2015. To put this number of ships in to persepctive, the United States only has 200 distant-waters fishing ships (Mohindru and Yap 2012). With nearly half a billion people residing within 100 miles of the South China Sea, rising demands have placed pressure on the quickly urbanizing coastal cities. Desperate for more resources, tensions are becoming high as more communities access the resources found in the Scarborough Shoal (Xu, 2013). The fisheries are more exploited than ever by China and the Philippines. In addition to over fishing, climate change is driving fish out of the Scarborough shoal in to water further south in search of cooler waters. This is placing additional stress on the competing nations. The decreasing fish stocks are driving some fishermen away from their coastlines into more heavily disputed areas of the sea (Xu, 2013). Countries in Asia depend heavily on fishing and other sectors of the economy that are “sensitive” to climate change (FAO, 2011).Conflict may appear in areas like the Philippines and China because these states “…have a high dependency on the fisheries sector as well as low capacity to adapt to the impacts of climate change [and] will be most at risk of serious socio-economic implications" (FAO, 201). Foreign Policy magazine deems China to be not only the biggest exporter of fish but also the nation that consumes the most fish (Kleine-Ahlbrandt). Because the Philippines and China heavily depend on fishing, these countries have already depleted fish stocks closer to their shores forcing fishing vessels to enter further into the South China Sea, most importantly the Scarborough Shoal, causing conflict to rise over who has the right to fish in the area. It is believed that the Chinese government forces its fishermen to “upgrade and equip their boats with satellite navigations systems, allowing them range even-further from home” and if the vessels do not comply with these rules the government will not grant to fishermen licenses (Kleine-Ahlbrandt). 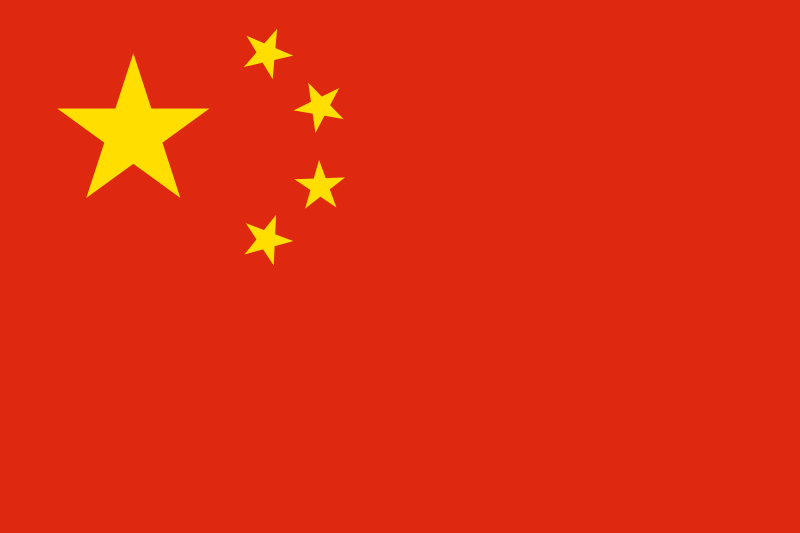 China has claimed the area as its territory since 960 AD. However China's historical claims go against UNCLOS' set boundaries that it began enforcing in 1994 (Xu 2013).The most recent conflict between the two nations occurred in April 2012 when the largest Filipino naval vessel discovered Chinese fishing boats collecting illegal marine life from the Shoal including corals, giant clams, and live sharks (CNN).However, the situation became more heated when two Chinese surveillance ships maneuvered themselves between the Filipino naval ship and other Chinese fishing boats to prevent the Filipino navy from taking action (McGeown 2012).The two states were at a standoff for nearly two months until a typhoon forced the ships to retreat. The Scarborough Shoal is located in the eastern area of the South China Sea. Its exact coordinates are 15.1167° N, 117.8500° E. As the maps indicate, the Scarborugh Shoal is much closer the Philippines' shore compared to China's shore. China: Claims almost the entire region as its own based on historical explorations. The Philippines: Parts of the Scarborugh Shoal fall into its EEZ and under UNCLOS these areas are the Philippines sovereign waters. The United States: There is a chance the US will be brought into this conflict if it continues to escalate based on the the 1951 Mutual Defense Treaty between the US and the Philippines. 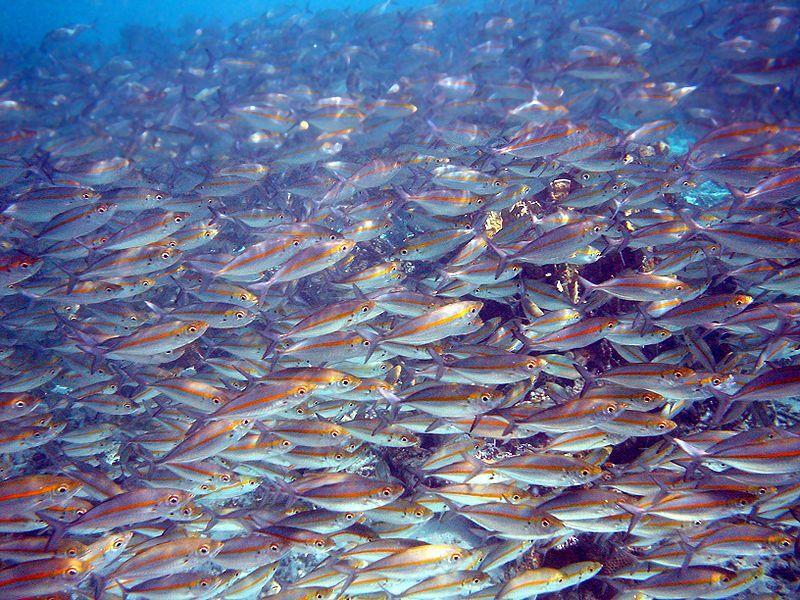 There are instances where climate change has contributed to fish migrating to areas of the ocean that are not in their historical migration patterns. It is believed that as climate change continues to affect the Earth, fish populations will migrate towards the Poles in search of cooler waters(Roger, 2011). Over the past century, climate change has raised ocean temperatures 0.18°F, affecting marine life from the surface of the water to as far deep as 700 meters (NatGeo). The IPCC argues sea temperatures will continue to rise throughout the 21st century. A report that highlights the situation near Australia’s waters declares that climate change affects have the capability to contribute to the forced migration of “seaweeds, phytoplankton, zooplankton, and fish" (Wroe, 2012).The same report insist that fishing habits will need to change but that the human population will have little to no control over the fate of microbes and plankton, both of which are vital organisms in the oceanic food chain (Wroe). Additional consequences of climate change and ocean water temperature rise include more cases of diseases, parasites, algal blooms, shifts in the balances between predators and invasive species, a decrease in the presence of dissolved oxygen in the water, and destruction to fish breeding grounds such as coral reefs (FAO 2011). Another implication that warmer waters pose to fisheries is a decrease in the average size of a fish as a result of less oxygen in the ocean. When water warms, it becomes lighter at the same time. Lighter water prevents oxygen from reaching deeper waters. Over 600 different fish species’ weight could decline 14-24% by 2050. Fish in the Indian Ocean will unfortunately be on the higher end of estimates. The decline in weight will have consequences for ecosystems, food chains, and supply of protein for humans (Doyle 2012). The fisheries in the Scarborough Shoal are already vulnerable to over fishing by China and the Philippines. But the effects of climate change in the area have the potential to exacerbate these fisheries and move them pole ward. As previously mentioned, the marine fish populations in the poles will increase substantially while fish populations near the equator will decline. One of the UN’s six climate scenario argues climate change will increase global temperatures by 3.6 to 9.7°F by 2100. Based on these temperature increases, fish populations will migrate towards the poles at a rate of 17.1-22.6 miles per decade till 2050 (Doyle 2012). The gradual disappearance of fisheries in the Scarborough Shoal could spur conflict, a potentially violent one, between China and the Philippines. It is predicted that fishing communities will see changes to pelagic species or fish that live near the surface of the water first as they seek colder waters. Other fish species migrations will be affected by climate change as well. These include: changes in temperature and salinity, reduced surface water density and nutrients, increase vertical stratification and acidity, coral reef degradation and ecosystem depletion, and predator- prey relationships will be altered. Communities, like those in China and the Philippines, whose livelihoods strongly depend on the fisheries will experience increased stress and tensions as fish stocks in the region decline (Food and Agriculture Organization of the UN). The shoal is shaped like an atoll and consist of rocks, corals, and very small uninhabitable islands. Act Site - China and the Philippines fishing in the same waters (Scarborough Shoal) where the fisheries are being depleted by climate change and overfishing. The conflict is international. No single country has jurisdiction over the entire South China Sea excluding the EEZs. Between the six disputing nations, China and the Philippines have had the most intense encounters in the Scarborough Shoal. Medium – The most recent conflict between the Philippines and China was a standoff in the Scarborough Shoal that lasted two months in the Spring of 2012. Low – Thus far in the conflict there have been zero causalities. While tension and threats persist, no threat of violence is currently visible. On the right of the diagram is the other half of this issue – the Chinese and Filipino demand for fish from the Scarborough Shoal. Rising populations in both nations will increase the pressure that is already placed on the fisheries. Therefore the Chinese and Filipino demand has a negative relationship with the “fish.” As previously mentioned, China in particular is investing a lot of money into developing more advanced fishing vessels and technology. An increase in the Chinese and Filipino demand will create the need for better fishing technology. Thus there is a positive relationship between the two variables. However with more advanced fishing technology comes and increase in the deaths of fish. Lastly, a vital part of this equation is the need for new international policy in the Scarborough Shoal and more broadly speaking the entire South China Sea. Although there are policies in place already they are knowingly not accepted by all countries involved, namely China. Hence the relationship between rising demands for fish and new policy to regulate these demands is positive. Medium – This conflict has immense implications for all ASEAN nations because of their proximity to the location and also because of their relationships with both China and the Philippines. 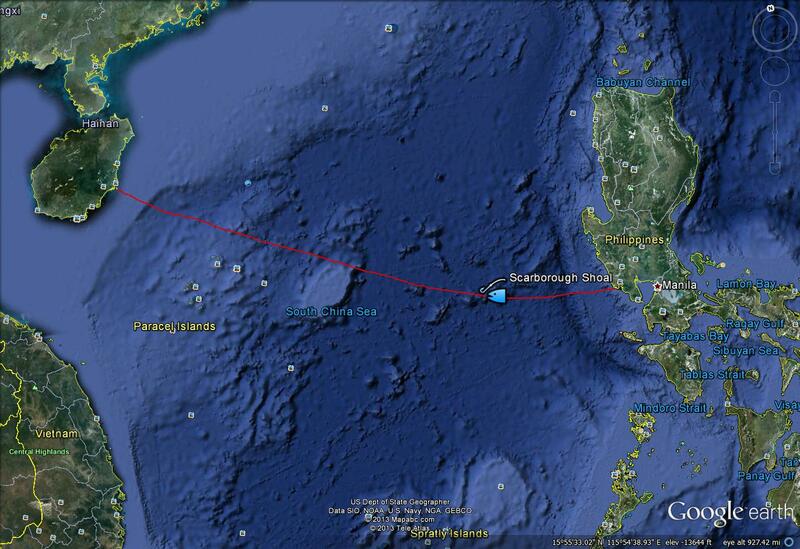 In addition, the conflict in the Scarborough Shoal is of interest to the United States. The US has a mutual defense treaty with the Philippines that promises their help if conflict between the Philippines and any other nations becomes violent. However the US is working hard to building a successful relationship with China and does not want to offend or further isolate China by coming to the Philippines defense. The Dispute remains unresolved. As of January 2013, the Philippines is utilizing the International Tribunal for the Law of the Sea in order to pursue international mediation through the Untied Nations Convention on Law of the Sea to solve its conflict with China. There are some still some unknowns of the case. If the dispute is not resolved through international mediation will the Philippines ask the US for support? Additionally, if the the fisheries continue to migrate poleward at a rate of 17.1-22.6 miles per decade till 2050, will China and the Philippines follow the fish out of the Scarborough Shoal south towards Australia? China has already depleted its fisheries near its coasts and has moved further away in search of more fish, what will stop it from leaving the South China Sea? Lague, David. "Analysis: China's Nine-dashed Line in South China Sea." Reuters. Thomson Reuters, 25 May 2012. Web. 23 Apr. 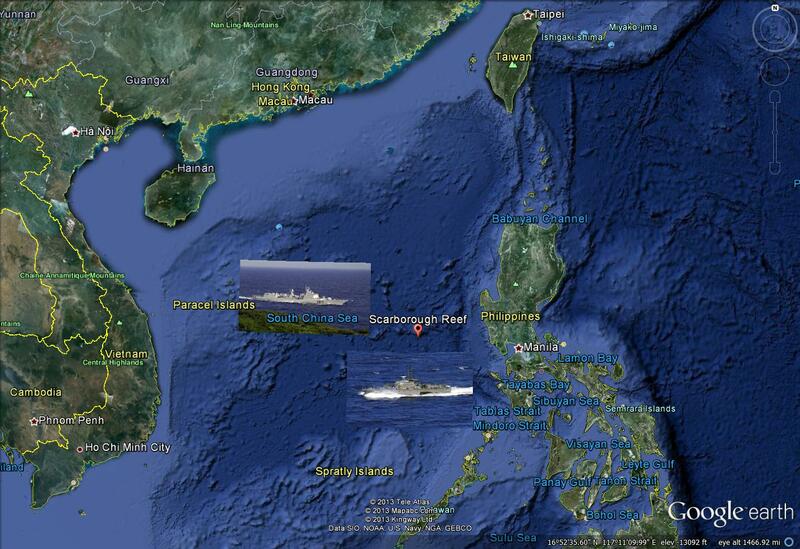 2013.<Analysis: China's nine-dashed line in South China Sea>. Xu, Benia. "Council on Foreign Relations." Council on Foreign Relations. N.p., 11 Jan. 2013. Web. 23 Apr. 2013. Lague, David. "Analysis: China's Nine-dashed Line in South China Sea." Reuters. N.p., 25 May 2012. Web. 23 Apr. 2013. 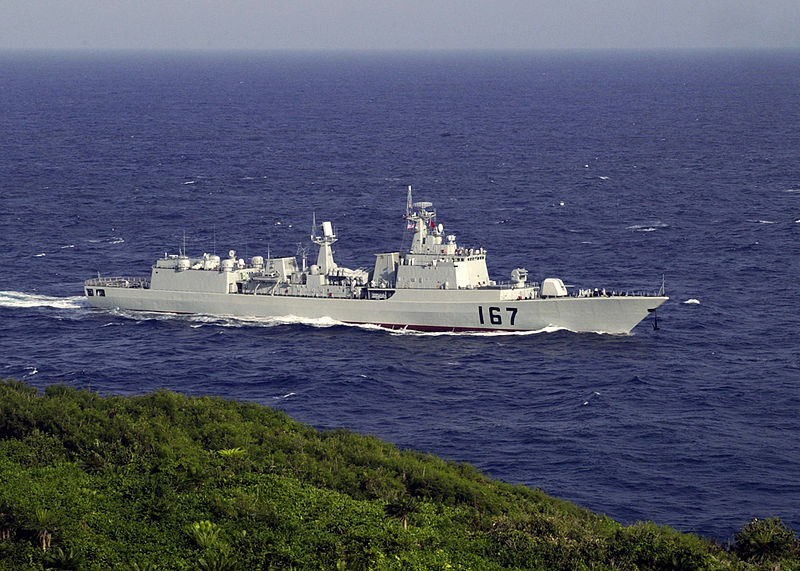 <Analysis: China's nine-dashed line in South China Sea>. Medcalf, Rory. "Manila’s South China Sea Gambit." The Diplomat. N.p., 25 Mar. 2013. Web. 23 Apr. 2013. 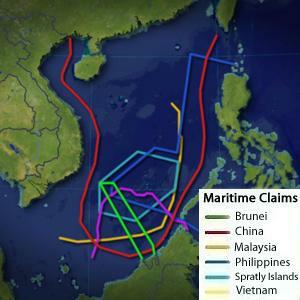 <http://thediplomat.com/flashpoints-blog/2013/03/25/manilas-south-china-sea-gambit/>. Kleine-Ahlbrandt, Stephanie. "Fish Story." Foreign Policy. N.p., 25 June 2012. Web. 23 Apr. 2013. <http://www.foreignpolicy.com/articles/2012/06/25/fish_story?page=0,0,>. [7 ]Mullen, Jethro, and Brian Walker. "China, Philippines Locked in Naval Standoff." CNN. Cable News Network, 01 Jan. 1970. Web. 23 Apr. 2013. 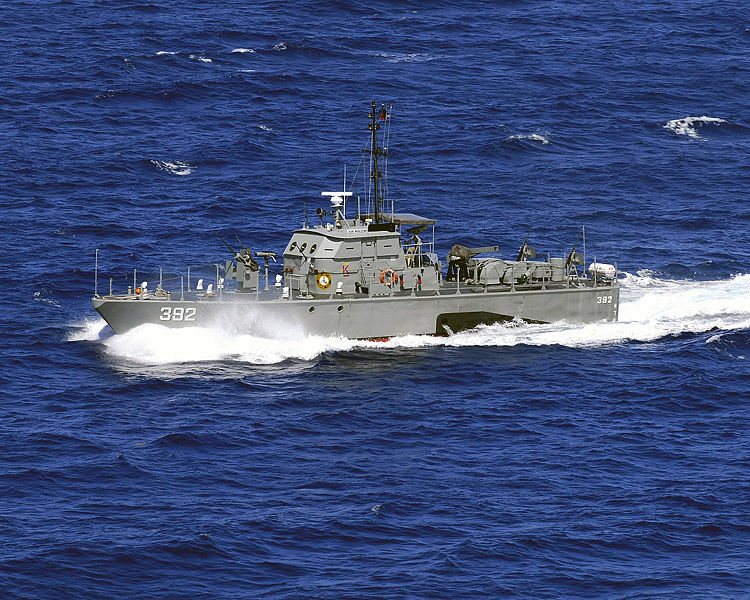 <http://www.cnn.com/2012/04/11/world/asia/philippines-china-naval-standoff>. McGeown, Kate. "Philippine Warship 'in Stand-off' with Chinese Vessels." BBC News. BBC, 04 Nov. 2012. Web. 23 Apr. 2013. <http://www.bbc.co.uk/news/world-asia-17673426>. [16 Mohindru and Ya. "China's Hunger for Fish Upsets Seas." Wall Street Journal. N.p., 27 Dec. 2012. Web. 23 Apr. 2013. <http://online.wsj.com/article/SB10001424127887324669104578205041179985354.html>. "Proposed Philippine Comprehensive National Fisheries Industry Development Plan: Strategic Sectoral Development, Pathway, Scenario and Trajectory." Over Seas. N.p., Oct. 2007. Web. 23 Apr. 2013. <http://oneocean.org/overseas/200710/proposed_philippine_comprehensive_national_fisheries_industry_development_plan.html>. Dacul, Marie Annette G. "Filipino Spending and Demand Trends of Prime Food Commodities*." Agriculture and Agri-Food Canada. N.p., Feb. 2010. Web. 23 Apr. 2013. <http://www.ats-sea.agr.gc.ca/ase/5754-eng.htm>. "NSCB - Philippine Economic-Environmental and Natural Resources Accounting (PEENRA)." NSCB News. N.p., n.d. Web. 23 Apr. 2013. <http://www.nscb.gov.ph/peenra/results/fishery/>. Taico, Henrylito D. "Fish Catch in PH Depleting." Www.sunstar.com.ph. N.p., 2 Oct. 2011. Web. 23 Apr. 2013. 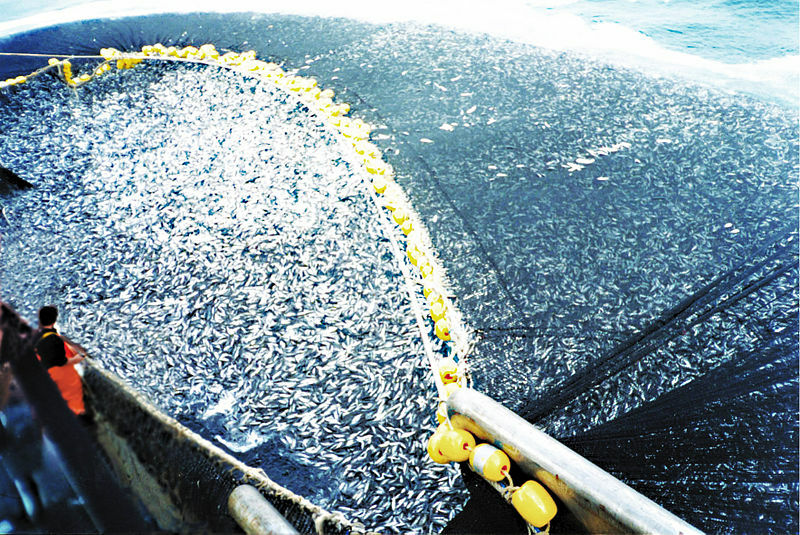 <http://www.sunstar.com.ph/davao/feature/2011/10/02/fish-catch-ph-depleting-182787>. Food and Agriculture Organization of the United Nations, "The State of World Fisheries and Aquaculture," United Nations, 2010, <http://www.fao.org/docrep/013/i1820e/i1820e.pdf>. Doyle, Alister. "Climate Change To Shrink Fish By 2050 As Oceans Warm." The Huffington Post. TheHuffingtonPost.com, 01 Oct. 2012. Web. 23 Apr. 2013. <http://www.huffingtonpost.com/2012/10/01/climate-change-fish-shrinking_n_1927009.html>. "Sea Temperature Rise." National Geographic. N.p., n.d. Web. 23 Apr. 2013. <http://ocean.nationalgeographic.com/ocean/critical-issues-sea-temperature-rise/>. Mabasa, Roy C, "Tribunal appoints 3 UNCLOS members to hear, arbitrate Philippine claim," National News, April 25, 2013, <http://www.mb.com.ph/article.php?aid=9249&sid=1&subid=2#.UYlbtbVJPOs>.